Best to Start Early on Your IRS CE Program! – Lambers, Inc.
Best to Start Early on Your IRS CE Program! We are entering into the third season of the Annual Filing Season Program, or AFSP. 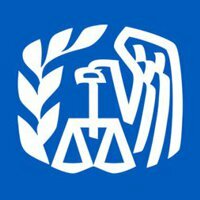 The IRS deems this program a success as thousands of tax professionals are taking the extra steps necessary to have their names added to the IRS Registry of approved Tax Preparers. One thing that we as an IRS CE provider have noticed over the last two seasons is that many of the tax preparers wait until the last minute (some literally the last minute) to complete their CE hours for the year! This article will offer a couple reasons why it is better to space it out over time as opposed to scrambling at the end of December to complete the house. The first reason is a simple one: STRESS! Let’s face it, many of us are procrastinators. Why do something now when we can do it later. The problem is that doing that creates stress in our lives as we face a deadline to complete a task. In the case of IRS CE Credits if a tax preparer needs 18 hours of credits including the AFSP Course and final exam why would you want to jam that all in at the end of December during the holidays? The best advice is to try to space it out. The busy tax season ends April 15, make a plan to do one course every two weeks starting in May. Depending which courses you select and the number of hours they command you should be done with your CE Hours in later summer/early fall. That makes for a stress free holiday season with no need to do last minute CE Courses. Sounds nice, doesn’t it? Make it a marathon, not a sprint. Another reason to start early is that when you are not rushed you get more out of the CE classes. When under a little pressure it is natural to skip over pertinent material or even just skip to the final exam. You are getting credit for the class, you might as well take an interesting course selection and get as much as you can out of it. This will help you become the best tax professional you can be. So as we approach the “Post April 15” period try to formulate a plan for doing your CE program. Make your goal to have it completed early while maximizing the educational value. You will feel good about yourself and your clients will be impressed with your tax knowledge on new topics. If you have any questions about your IRS CE, AFSP or Enrolled Agent Program please contact a Lambers representative.